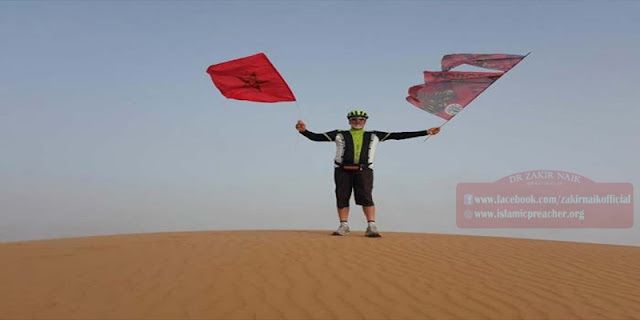 “After a long experience in cycling, I thought ‘Why not experience a new travel outside Morocco?’ The first thing that I thought about is traveling for Hajj; bearing in mind that I’ve previously traveled for hajj by car in 1988,” the professional cyclist, Mohammed Rbouhate, told Morocco World News. “And whoever relies upon Allah, then he is sufficient for him. Indeed, Allah will accomplish his purpose” (Surat At-Talaq 65:3).